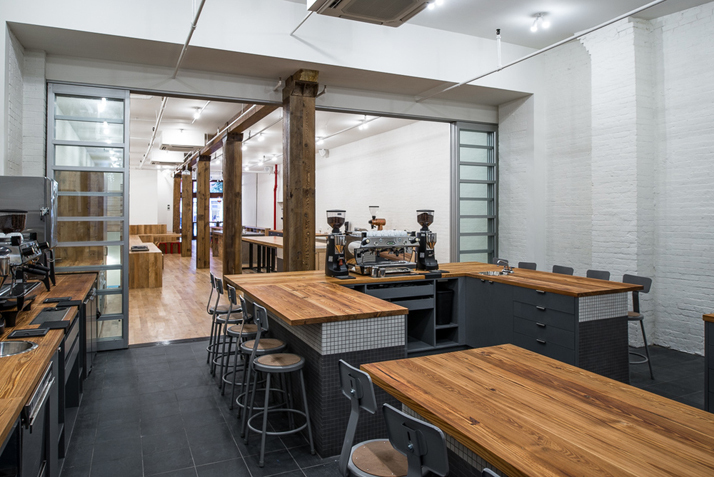 The fully renovated space offers 3,600 sq feet of epic coffee training wonderland that will include one of the first Modbar systems in the country as well as equipment from all the top equipment manufacturers—La Marzocco, Ditting, Mazzer, Nuova Simonelli, Marco and Mahlkonig. If the Modbar wasn’t enough there will also be several Über boilers and an EK-43. Counter Culture Coffee is headquartered in Durham, NC but sells coffee through wholesale accounts in most major cities and beyond. 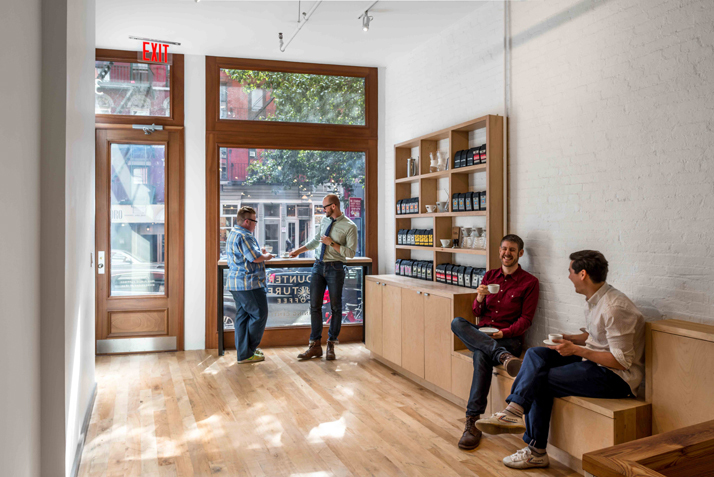 The company doesn’t have cafés of their own and instead focuses their energy on thoroughly training their wholesale customers. 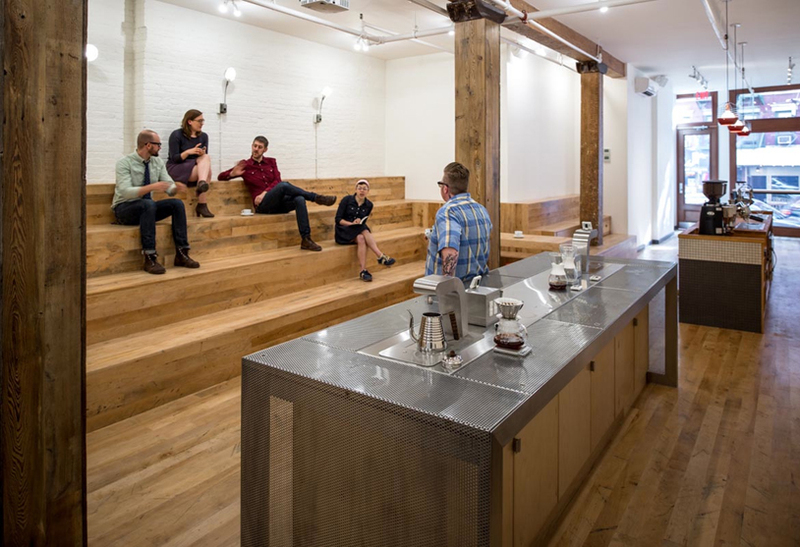 The training program has proved quite successful for their own employees as well, helping both Katie Carguilo, the 2012 US Barista Champion and Erin McCarthy, the 2013 World Brewers Cup Champion win their respective competitions. "We love teaching people about coffee—from preparation at home to all-around coffee knowledge to professional barista techniques—and learning along the way. 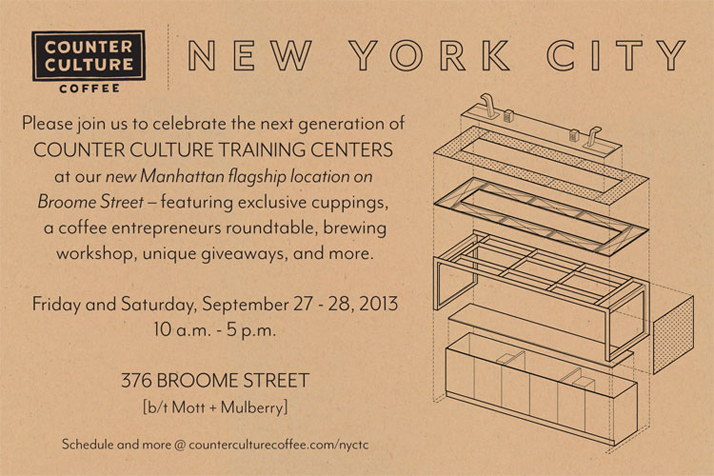 Our regional Training Centers are living entities of coffee culture. To share what we know, we put together straightforward instructions for our favorite home brewer, collected an ever-expanding range of coffee information, and designed an expansive curriculum. 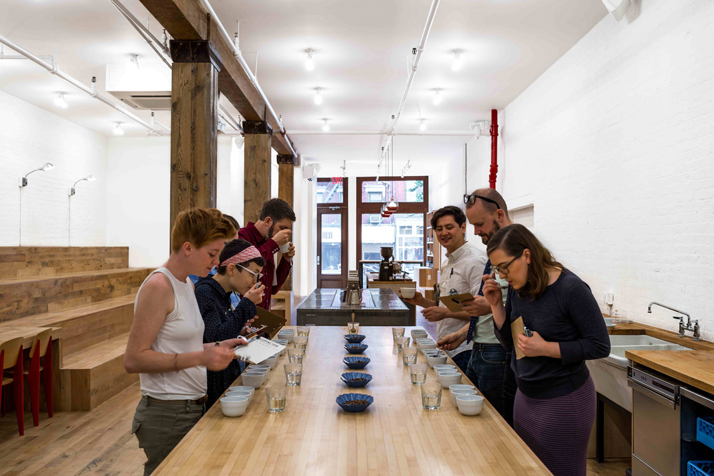 Our hands-on training ranges from engaging and informative weekly public tastings to comprehensive curriculum and certifications for coffee professionals." 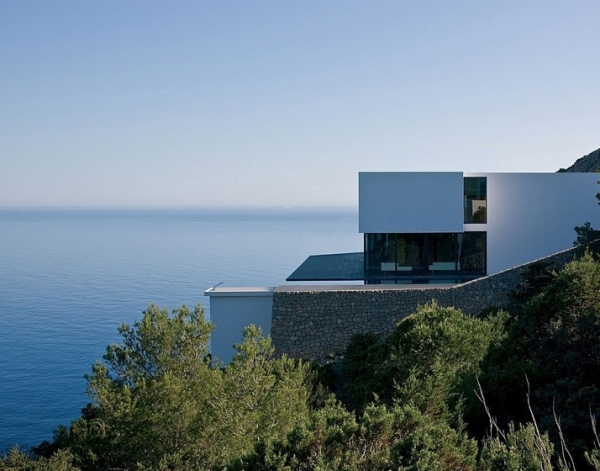 The training center will be used for an array of classes from the company’s Counter Intelligence program and boasts an incredibly multi-faceted design to host a broad range of events. 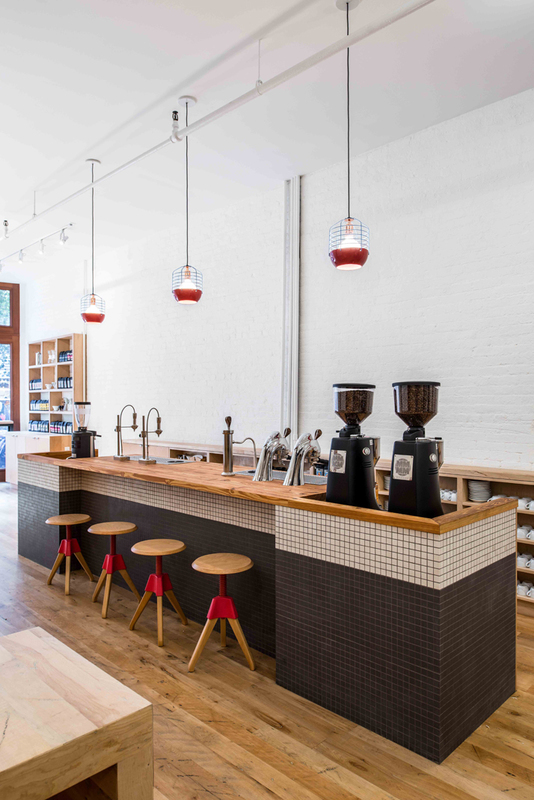 There will be free public cuppings every Friday at 10am (which also take place at their other training centers around the country), home brewing workshops and even food pairing events with guest chefs. 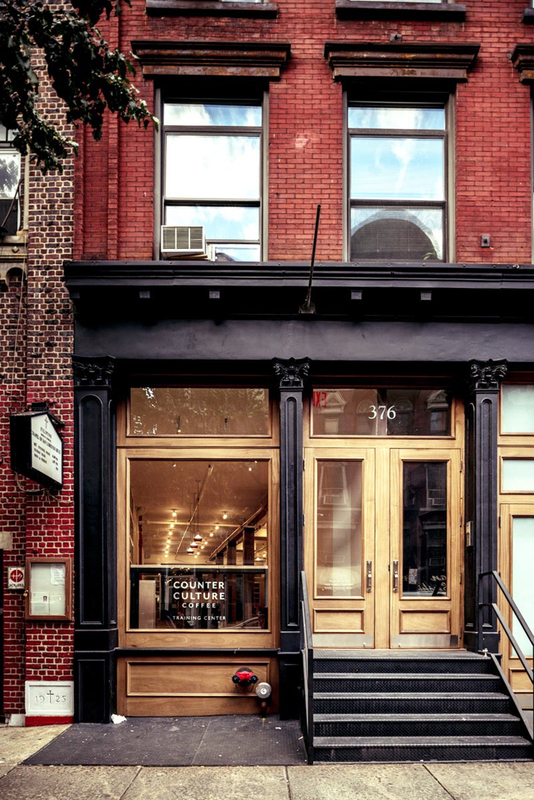 For the industry side, there’s an espresso training room that fits up to 20 people, a full service tech lab in the basement, and a competition training room. If you happen to be a Counter Culture wholesale customer you’ll even have your own key. 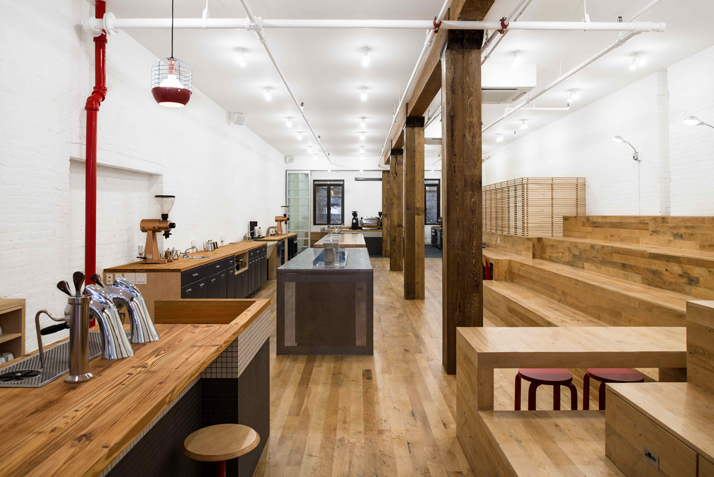 The design utilizes ample amounts of reclaimed and salvaged wood filling the space, and its 16ft high ceilings, with some warmth. 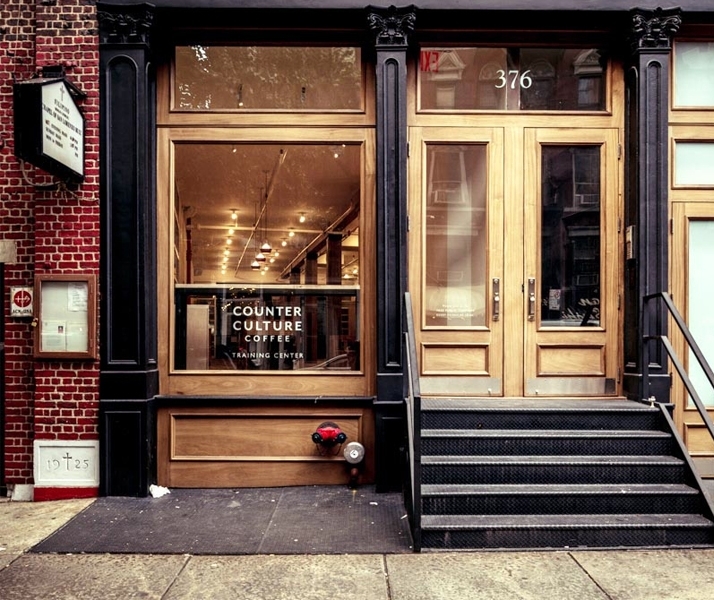 The architect, Jane Kim, has worked with other well known coffee spots in NYC, including the second location of Everyman Espresso and Third Rail, but the work for Counter Culture seems to better reflect some of her beautiful lofty residential work.